You are currently browsing the archives for May 2015. Below is just a snippet of June’s newsletter. If you subscribe or go to my website you will have access to the astrology section, monthly raffle and a variety of other goodies! June Blessings everyone! Hard to believe we are almost midway through 2015. As usual, I will be celebrating my birthday on the 3rd and will be taking a break for the first week of June. We also Father’s Day, Litha/Summer Solstice, and my website’s 10th year since creation to celebrate. Astrologically, June looks like it will be a more quieter month with Mercury still in retrograde for the earlier part of June and Saturn moving into Scorpio to help us finish some old emotional issues that may have cropped up back in autumn of 2012. The Monthly Specials for June include some Faery readings, a Midsummer’s Dream tarot readings, and a Summer Solstice Tarot reading to celebrate Mid Summer. So be sure to stop by and have a look at the May specials! Over in the Reiki/Energy Work section you can find Reiki and energy work to help give you a bit of a boost. You can find Reiki sessions, Chakra Healing and Attunements, Violet Flame healing, and the Avalon Crown of Success healing. Reiki is great for flushing out the old energies that may be lingering both in our own energetic bodies and the environment around us.If Astrology is your cup of tea be sure to stop by my Astrology section where you can order some insightful Natal charts, Compatibility reports and Transit reports to see what will be affecting you in the months ahead. Each persons Birth Chart can show how the positions of the planets and stars at the exact time of their birth can influence their life. Learn how each planetary position has determined your physical, personal, psychic and spiritual characteristics! These charts are a great gift for birthdays or just as a special way to treat someone to a bit of astrological insight. Happy Sunday everyone! Here we are at the last day of May already. Soon the kids will be out of school for summer break and many of you will be going off on holiday for the summer. Here in the UK the weather has been a bit cool and wet but they say we are heading for a heatwave mid week. I sure do hope so because I want to get out and about! I get to celebrate my 46th birthday on Wednesday so some sun would be a nice birthday surprise. So, on this semi grey day we have a tricky and somewhat challenging energy in play with the Sun square Neptune. Its challenging because it can take those wistful ideas and wishful thinking, and make them seem more realistic than they actually are. What tends to happen then is that we become disillusioned and prone to disappointment. However, if used right, this can be a creative and healing transit. We just need to listen to our inner voices a bit more now. And on that note, let’s see what the first week of June has in store for us. Monday morning is a quiet one for the most part. We do have Mercury in a trine with the Lunar North Node happening in the wee hours. The North Node represents those things that we are moving towards on our journey, often referred to as our path of destiny. The transit itself can bring us a fresher awareness and a better ability to communicate that awareness. It is a beneficial resource which can help us to take a few more steps closer towards out life purpose. This can bring a subtle or more noticeable shift. We also have the Moon going Void of Course at noon before moving into that happy go lucky, optimistic sign of Sagittarius in the late evening. A Sagittarius Moon makes us want to pursue new visions and we tend to turn from looking within to looking at the great big world around us. This energy will be with us for the first half of the work week and we can use it for those times when we need to focus on the big picture. It can also assist us with any surprises that Mercury retrograde pulls because it allows us to be spontaneous and flexible. Just be careful that you don’t take unnecessary risks at this time. Tuesday is our Sagittarius Full Moon, also referred to as the Strawberry Moon. The Algonquin tribes knew this Moon as a time to gather ripening strawberries. It is also known as the Rose Moon and the Hot Moon. Its a good time to look at what is ripe and ready for picking in our lives. Full Moon’s are that perfect time for harvesting and the Full Moon part of the moon’s cycle brings about the culmination of plans to maturity. It is also believed to be the time for ending or letting go of many situations in our lives. In this instance we are asked to let go of old dreams before pursuing new ones. Wednesday starts off with a Void of Course Moon as well as the asteroid Ceres turning Retrograde in Aquarius. Ceres represents the nurturing we received in our early years as well as how we tend to nurture others. It also rules the areas of clothing and food believe it or not! Where our natal charts are concerned, where Ceres falls in the signs will show, not only our nurturing styles, but those things which make us feel nurtured. Where Ceres falls in the houses of one’s chart shows where we are more likely to express that nurturing side as well as where we can best receive nurturing from others. When Ceres turns retrograde the entire notion of mothering and nurturing is up for grabs in our lives. We are kind of forced to reconsider what it is that we truly care about. Some of our “children” (goals, projects, anything we have been nurturing) may need to be allowed to fly from the nest now and we need to be able to let them do just that. This is also an important time for recognizing whether we are filtering out or rejecting the love others are extending to us. As we head into the second half of the work week on Thursday we have that productive energy from the Capricorn Moon that can help us finish up work and projects so that we clear things for the weekend. These next couple of days will be good for planning and structuring and we tend to not want to waste resources, time or energy now. On Friday the planet of love and Money, Venus, enters the sign of Leo, where love turns magnificent and grand. During Venus’ time spent in Leo we take pride in love, and we are generous with our money as well. This is a warm-hearted, teasing, expressive, proud, and extravagant placement for Venus. Love is a bit of a game–a game that is perpetual, as Venus in Leo is forever stuck in the romance stage of a relationship. We feed on attention, acknowledgement, validation, and adoration. Venus in Leo loves to be adored, pampered, and admired. Pride and passion are hallmarks of this cycle. Its a nice boost for the social aspects of our lives and if you’re single, its a good time for having some romantic fun and getting yourself out there. Our weekend starts off with an Aquarius Moon on Saturday morning. Aquarius can bring a sense of emotional coolness or detachment at the personal level, combined with an emphasis on ideals. We also feel more drawn to the new and unusual at this time so why not try something new this weekend. Its a good energy for social gatherings and breaking out of our usual routines. The asteroid Vesta shifts into Aries on Saturday evening as well. Vesta is called the “Keeper of the Flame”. Vesta’s placement in your natal chart shows you where you can focus your energies for the most benefit, how and where you can be dedicated. It also can tell you where you will, from time to time, need to withdraw so that you can regenerate before we become too drained. If we ignore that need to step back for too long, we can become ill. Vesta is also known to have some effect on your sexuality, in a more reasoning way as opposed to that raw, animal energy we get from Pluto and Mars. Vesta represents our ability and capacity to focus and integrate our energies in order to bring a sense of wholeness to ourselves. It is the sacred feminine. In Aries, she gives the ability to focus quickly and intensively on any task. This is really good for non-routine projects requiring direct action. Vesta in Aries is self-motivated and focuses on personal accomplishments. We’re not done yet for Saturday! We have Mars sextile Jupiter beginning in the early hours of Saturday. We find that our spirits are high during this transit which brings the potential for cheerfulness, optimism and increase to our energy. More great energy for enjoying time with others and being social. Then we add Venus trine Saturn into the mix in the morning where taking care of the necessary-even unpleasant-tasks seems less of a burden. It’s a time where pleasure is made to last rather than immediate gratification. Some may feel an extra need to prove their responsibility to others. We can also find it easier to focus on projects that are creative in nature. Sunday is a quiet one in the skies with the Moon going Void of Course later in the afternoon, giving some time to wind down a bit and get things ready for the new week ahead. Happy Sunday all! I hope everyone is getting a chance to enjoy this Memorial Day/Bank Holiday weekend so far. We are into the last week of May now. I just realized my birthday is also creeping up on me the week after this one. May seemed to fly by and we are finally seeing some stable spring like weather again. It was a bit touch and go there however with some hailstorms and other fun weather happenings. So, we still have that playful Leo Moon energy today making it a perfect time for those Memorial Day barbecues/ We also have a Mars/North Lunar Node trine happening along with a Void of Course Moon. Mars’ interaction with either of the Lunar Nodes makes it a very dynamic time for action. While this can give us the courage we need to follow through on all of those new ideas coming from Mars in Gemini, we do need to take care of taking risks, because Mercury is also in retrograde. It has been noted by many astrologers that this trine tends to bring out more confrontations and accidents than usual. Add Mercury retrograde in there and….well just take care. Now let us have a look at what this last week of May will bring us. It looks like a busy one! Monday morning starts off with the Moon moving into practical Virgo, bringing a much more productive tone than Leo. Virgo is hard working and can help us get a lot of practical tasks done for the first half of this week. We have a bit of a bump in the early evening with Venus squaring up to Uranus, where we are tempted by our impulses and may find ourselves making impulse purchases or being a bit erratic with our resources. We may also find ourselves asking whether a friendship is more than a friendship, or whether we value comfort or freedom more. So we need to be a bit careful in the areas of love, money and resources. On Tuesday we hit another hiccup in the road when Mars and Neptune come together in a challenging square. Keep in mind that up to a week prior and a week after we have the opportunity to discover and work with our blind spots and the hidden motives that trip us up. There will be times when we feel like we are just spinning our wheels, especially with situations where we are trying to force a concrete solution to a changeable and ambiguous situation. Many may feel as if their physical energy is at a low point during this transit, which can make any work that requires effort seem like drudgery. We are also more prone to irritations that we would consider minor under normal circumstances. Trust and honesty are going to be important right now and we need to remember that lies we tell now have a funny way of coming out later when we least expect them too. So, being truthful, not only with others but with yourself, will allow you to recognize those blind spots I mentioned before. What could also help at this time is to own our feelings, needs, longings, and nay hidden agendas. Being honest with yourself about what’s really going on inside you will go a long way toward increasing your empowerment. Wednesday brings us some balancing energy with the Libra Moon that can help us to be a bit more diplomatic in some of those difficult situations brought on by the early week’s transits. Some of us may feel as if we don’t know whether to crack on with work or just step back and take a breather with bit of pampering for the mind, body and soul. Listen to what those 3 are telling you that you need. We also have a conjunction between Mercury retrograde and Mars, which has a tendency to let impulsive or spontaneous words come flying out of our mouths. We may also find that those opinions and observations that we have been holding in suddenly need to come out into the open. While we can use this time to be more productive, we may also feel frustrated if things are not moving as fast as we want them to. One more transit to throw into the mid-week mix is Venus’ trine to Chiron. This can bring a great opportunity for healing and rebalancing, especially in the areas of relationships, finance, resources and values. This can be really helpful in helping us sort things out that became out of balance at the start of the week. Thursday is a blessedly quiet day with no new transits to throw into the mix of what we already have. Perhaps this would be a good day for stepping back a bit and seeing where we stand with any situations that are still hassling us. On Friday Mercury retrograde will be in a challenging square with Neptune, where our mental focus can feel a bit clouded, confused or lethargic. We can experience some disillusionment or disappointment in our observations or communication with others right now. This is an important time however, to break through old and rigid expectations that may be blocking our ability to see the bigger picture. Time to take a look at what is flowing under the surface! Saturday is the halfway point of Mercury’s retrograde cycle. We still need to stay flexible but these next few weeks is where we can start to shift our focus towards those future projects we have been dreaming up. The Moon enters Scorpio as well, which can lend us a hand with those projects that require focus, effort, discipline and research. The Sun will be conjunct Mercury retrograde as well, bringing a bit of a fresh start where communication, awareness, and exchanging ideas and information is concerned. We have a lot to say now and will feel compelled to communicate in many forms. Its a good energy for taking short trips or doing anything that can keep our mind busy. Sunday wraps up the month of May with a square between the Sun and Neptune. This can be a tricky and challenging transit to work with because it has the tendency to take those wistful ideas and our wishful thinking, and make them seem more realistic than they actually are. What tends to happen then is that we become disillusioned and prone to disappointment. It can be a creative time if we are able to harness our imaginations and creativity in a productive way. The negative side is that our active imaginations are harder to control or balance with what is real. Energy levels can be a bit low both physically and mentally. Its important to pay attention to our bodies if they are needing rest. Emotionally we may feel overwhelmed, discouraged, plain confused. And on a spiritual level we could discover that our desire for enlightenment is not as straightforward as we had thought. We do have the chance to observe that deeper part of ourselves, the part that is usually under cover during our day to day activities. If used right, this can be a creative and healing transit. We just need to listen to our inner voices a bit more now. Happy Sunday everyone and I hope the day finds you all well. We have a fairly quiet Sunday with energies that focus on recuperating and recharging our batteries, so make the most of it! Depending on where you live, the Moon will be in her New Moon lunation late tonight/early tomorrow. Let’s have a look at the week ahead. Monday morning starts off with a New Moon that is Void course for a few hours before it moved into the sign of the Twins mid-morning. With a Gemini New Moon we look to new ways to communicate, think and learn. And we want to let our curiosity lead us a bit more too. Just keep in mind that Gemini can also be a fickle and restless energy. Tuesday is when Mercury goes retrograde, also in the sign of Gemini, doubling that mental energy. Mercury is the planetary ruler of Gemini, so the mind wants to fly fast and free. Our perceptions and communications can come blowing through like a fresh breeze and this can create a variety of ideas in our heads, but not necessarily the productive application to putting those ideas in play. Maybe this will help balance the retrograde effect of Mercury…or perhaps the usual retrograde effects will be intensified with this double whammy. In either case, ans as always with a retrograde Mercury, leave extra time in your schedules for delays! Wednesday the Moon moves to the watery sign of Cancer, where our instinctual needs gravitate towards a need for peace and quiet. We tend to focus more on hearth and home at this time and crave connections that mean something to us. Some of us may decide to skip work and have a day at home, where others may choose to make their work space feel more homey. Thursday is the day that the Sun enters Gemini, where knowledge and diversity motivate us. It isn’t just Gemini people who can benefit from this signs energy now. We can all tap into it to help us become more sociable, intellectual, and insatiably curious. Just be careful not to scatter your energies too much, as is the tendency with Gemini. Our Friday starts with a Void of Course that will shift into Leo towards the end of the evening, giving us a great social vibe for the weekend. We also have an opposition between a protective Venus in Cancer and a disruptive Pluto in Capricorn going on that can work by pulling us apart in order to allow a transformation within our value system. Use this energy to look at who and what is supportive of you at this time and release what needs releasing. We could see power struggles being provoked as well as spur of the moment surprises. On Saturday we have another opposition, this time between the Sun and Saturn. This transit can feel like a draining one for many where we feel weighed down and somewhat less than optimistic about any challenges or blockages we are facing that delay our progress. We may feel that for every step forward we are taking two back. Saturn represents the rules. It delays and restricts. It makes us cautious, sometimes overly so. All of this can whittle away our sense of freedom and self-expression. Our will and ego are being challenged and we may feel guilt, shame, or self-blame. However, we also get a boost that can help us to move forward with goals and projects. On Sunday we have a trine between Mars and the North Lunar Node. When Mars interacts with the nodes it becomes a very dynamic time for action. 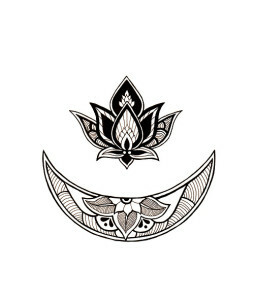 This helpful trine grants us courage to follow through on our new ideas. Keep in mind Mercury retrograde though. We will be getting loads of new ideas at this time but now may be the best time for mulling some over. Its too easy to take risks right now so be cautious. This transit brings a large amount of energy that can burst through when it comes to maintaining our own identity. It has also been noted in some astrological studies that Mar’s interaction with the nodes tends to be a time of more accidents die to careless actions. We tend to see more confrontations bubbling to the surface at this time as well. Hi everyone! I have sporadic internet happening here due to bad weather so wanted to post our Look at the Week Ahead while I have the chance..and the connectivity. Things have been quite soggy here in the UK over the past week. My poor plants were swimming in their own pots, so we had to do a bit of a plant rescue. I hope things start drying out soon or we are going to be seeing some major flooding with the ground as saturated as it is. Fingers crossed for some sunnier and warmer weather for this coming week. Sunday is Mother’s Day in the USA, so Happy Mother’s Day to all of you Mom’s out there! The day is influenced by an Aquarius Moon which is great for those friendly and cozy group gatherings. Let’s check out what the planets have in store for us now. Monday starts off with a Sun/Chiron sextile. Wherever Chiron falls in our natal chart will show us where we have been wounded and the key to healing. Having the Sun shed its light on those wounds can lead to a release from our bonds to our past bringing healing and wisdom. Look at the chronic struggles you have had going on in your life. This transit can help you find new inspiration, motivation, or the confidence to rejuvenate our waning enthusiasm. While this may be a gentler aspect, we still will have to make the effort to bring it all together. One of the positive effects of this transit is that it can bring us the opportunity to walk on our own path but in a new way. We also have a Void of Course Moon that starts just before Noon. The early hours of Tuesday start off with a Pisces Moon, which can bring that mystical feeling to everyday situations. It could bring us some interesting dreams in the wee hours as well. We also have action planet Mars into the curious sign of Gemini, where it will remain until June 24th. Let me tell you, if ever there was a combo that could multi-task and have a few too many irons in the fire, this one is it! In Gemini, Mars is considerably more versatile and flexible–and considerably less determined and focused! Our interests become more diversified, possibly to the point of going off on so many tangents that we are scattered and ineffective. Gemini gives our warrior planet some space to roam a bit more freely. Mars’ energies are more driven by mental activities and intellectual stimulation. And Gemini thrives one new ideas, visual stimulation, and social interaction. When we see the darker side of Mars in Gemini, we see Mars taking up his words to use as weapons when he feels angry, so heated debates are no surprise under the effects of this transit. Mars in Gemini likes to take up multiple tasks and is ready to act. For any of you out there who have a lot of fire and air in your charts, any inactivity now could make you very restless and depressed. And if you have more water and earth in your chart, you feel stirred to activity but could feel some stress if there is too much disruption to your usual routine. Try to find a good balance that works for you. Something we want to keep in mind is Mercury’s retrograde cycle happening, mainly the 18th when the planet of communication starts its backwards motion. Wednesday is a quiet one with nothing more than an early evening Void of Course Moon. But the Moon will be moving into Aries in the early hours of Thursday morning and you know what that means! Erratic sleep patterns and a need to do physical stuff, like hitting the gym, dancing, and doing other activities of a physical nature. This extra energy will be with us into Friday so doing enough physical stuff to tire you out Thursday night can be a bit balancing for all of that fiery Aries energy. On Friday morning we have a Mars opposition to retrograde Saturn, which brings this “hurry up and wait” energy to things. Seriously, these two energies do not mix easily! But when they do, we can generate some strong productivity! So it can be a good time for getting things done before we hit the weekend. Some tough tests can come our way under this transit as our individual will and desire is pitted against everyone and everything that we feel is blocking our path and progress. In fact, this can be an extremely irritating transit to cope with! We will need huge amounts of calm, patience, and inner balance to get through it. The Moon shifts into Taurus on Saturday morning where we feel more driven to be comfortable and tend to our desires. Our basic impulses are to relax, resist change, and “stop to smell the roses”. Life slows down a little, and we get comfortable. We may also be inclined to stubbornness and materialism under this influence. It’s actually a great time for tending to practical matters though, because we feel ready to roll up our sleeves and dig in! Hands on stuff is always preferable with Taurus. Saturday evening brings a Venus/Neptune trine, which can bring about a time of romance, creativity, and feeling a sense of oneness with the beauty of nature. This can be great socially and intimately because things tend to run more smoothly as well as adding a touch of magic to the pot. It’s important however to be very clear about what we truly want! Something else to keep in mind is that love and money planet Venus will be making a challenging square to the Lunar North Node from Saturday afternoon. With Venus in this challenging square to the North Lunar Node we may start noticing that the people in our lives are not giving us the encouragement and support we need where fulfilling our life purpose is concerned. We could run into situations where someone who was giving us support suddenly backs away. Or we find that their actions interfere with what we are trying to do. Disagreements and upsets with others at this time could make us feel less positive about our life and if this is the case, we need to look a bit more closely at what it is that we are disagreeing about. We need to step back and ask ourselves if our responses to these things mirror our true values, or do we need to tweak our values at this time. Renegotiating our priorities in order to create balance may be needed as well. Venus also rules finances and resources so we could run into issues around possessions, resources and finances that call for adjustments now. This isn’t a very long transit, lasting only a few days. So the things we come across may not be major issues. But if something significant does rear its head at this time, it could be a sign that we have something that needs to be looked at more closely. Sunday brings us a Taurus/Gemini New Moon our way (still in Taurus on Sunday, then into Gemini Monday morning). S we slip from wanting comfy environs to being curious about all that is around us. This is a New Moon that really wants us to open to the new and release the old with the energies of the other planets adding their vibes to it. Luckily, we will be getting a boost from the planet of expansion, Jupiter, working in harmony with that revolutionary planet Uranus to get us moving forward. 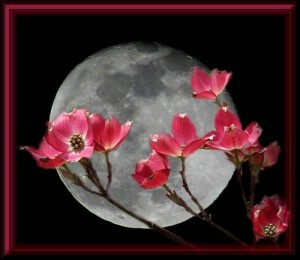 The May Full Moon is known as the Flower/Milk/Hare Moon by Native American’s. 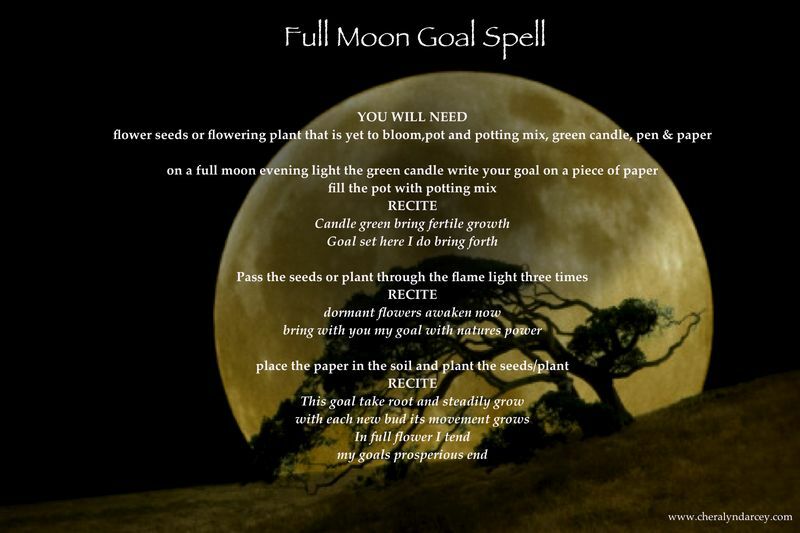 Each Full Moon has a symbolic meaning which can be used for specific energy/magical workings. Full Moons are also a time for releasing, harvesting, and letting go. But once we release or let something go it leaves a space for something new to grow. Once we harvest what has grown from the last Full Moon till now can be used for a new purpose. With spring being a time for growth, this is a good time for planting the seeds of your hopes, goals and dreams for the future. Here are a couple of things you can do under this Full Moon. Happy Sunday everyone! We are entering our first full week for May and this month has a mix of challenging and enchanting energies for us that will feature Mercury, Jupiter, Saturn, Neptune and Pluto. As we wake up on Sunday morning the Moon will have already entered the brooding sign of Scorpio. Depending on where you live, the Moon will be Full this evening/tomorrow morning. So we have that Scorpio Full Moon energy to play with over the next 3 days. The Moon will also be creating a “T” pattern with the planet of expansion, Jupiter, that tends to push us beyond our comfort zones. Keep in mind that the Sun also shines Taurus energy on us. These two signs working together can call us into our personal power but this also means we need to let go of anything that is currently draining our energy. We need to be like the calm in the eye of a storm now. Lets add tot this mix risk taking Jupiter, which will also be drawing us to open up our hearts to new adventures. So…go past our comfort zones, keep our hearts open, but don’t put ourselves in a situation where we can be damaged emotionally…talk about conflicting tasks! Some may feel like shutting down completely under these energies but what we really need to do here is tap into these energies so that we lift our life’s base foundation for a new level in our life. Let’s take a look at what this week has in store for us. Monday is still working under that Scorpio Full Moon energy and the Moon will be in this lunation for 2-3 days. So these next few days bring a good time for releasing and healing work. 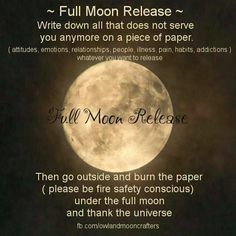 Remember, Full Moons are when we do energy work for releasing, harvesting and letting go of the old. We also have a challenging square between the Sun and retrograde Jupiter. This actually can bring a more upbeat and enthusiastic feel and is responsible for pushing us past our boundaries a bit more. However, we do need to take care that we don’t go beyond our means or promise more than we are able to give. The challenge here is that important lessons could emerge that help to expand the limits of our true beliefs. Tuesday is Cinco de Mayo and the Moon moves into upbeat Sagittarius, which is perfect for celebrations. Keep in mind though that Sagittarius energy tends to overdo things that can put a strain on our budget and our health. Wednesday brings a trine between the Sun and Pluto making it a good day for some spring cleaning. Whether you’re clearing out your closet or flushing out your brain, this transit is the time for getting rid of whatever has become unnecessary or outworn in our lives. And this can be anything from an unhealthy relationship to old and outworn beliefs that are holding you back. Or you just may need to chuck the rubbish out of your work space. As we clear away the old we get to see what lies beneath a bit more clearly too. So don’t be surprised if you discover, or re-discover, something lost, hidden, or forgotten during this process either. Thursday evening brings the Moon into Capricorn which means we will feel inclined to want to do something productive before we start our weekend off. Venus, the planet of love and relationships, will be entering the emotionally nurturing sign of Cancer, where she will remain until June 5th. We will be more focused now on raising the quality and quantity of comfort and sharing in our lives by improving our existing relationships, making our homes feel a bit more comfortable, or opening up to new and better relationships in our lives. Friday is a quiet one in the skies and makes a good time for mixing business with pleasure. Remember, we have the Capricorn Moon that wants to get something done before the week is finished and that social lunar connection that wants to enjoy the process of doing so. So business lunches and romantic get-togethers can bring some tangible results at this time. Saturday has a trine between Mercury and the North Lunar Node, which brings us a fresher awareness as well as a better ability to communicate that awareness. It is a beneficial resource which can help us to take a few more steps closer towards out life purpose. Just bear in mind that we also need to take action too. Mercury will also be in a challenging square with Neptune. Under this transit our mental focus can feel a bit clouded, confused or lethargic. Our mind struggles with trying to tackle and understand the limitless expanse of the Universe we live in along with what is formless and shifting. We may experience some disillusionment or disappointment in our observations or communication with others. However, it is an important time to break through old and rigid expectations that may be blocking our ability to see the bigger picture. The Moon will be moving into Aquarius late on Saturday night and this energy is perfect for getting out and socializing. On Sunday it’s Mothers Day in the USA. The Moon will still be in Aquarius which is a great time for that group energy and cozy family gatherings. This is best for morning and early afternoons because by late Sunday afternoon we may start to feel somewhat emotionally overloaded. So Sunday evening is a good time for recharging our batteries before the new weeks starts.